Do I Really Need to Preheat? 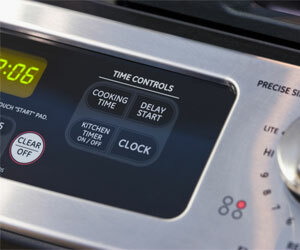 Tracy Sherva, Kraft Kitchens expert, explains why it’s key to preheat your grill or oven. The short answer? Yes! But if you want to know more, here’s some information that can help. Whether you are using gas, charcoal, or electric grill, it’s important to start with a clean, preheated grill. It ensures even cooking and helps keep food from sticking (for better results and safety). Scrape old dried-on food off of a hot grill, using a grill spatula or wire brush. When you bake something in an oven, you are cooking it by surrounding it with hot air. If you don’t preheat the oven, the air will not be the same temperature throughout the oven, so your food will not cook as evenly. This is especially important in baking. So take just a few minutes to let your oven or grill get ready for your food.